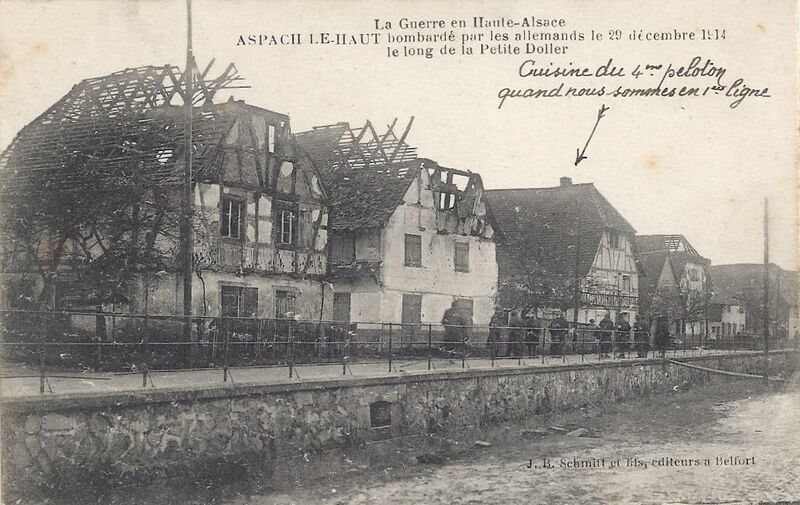 This card was sent from Alsace by a French soldier, Gaston, Easter 1915. I’ve translated it. 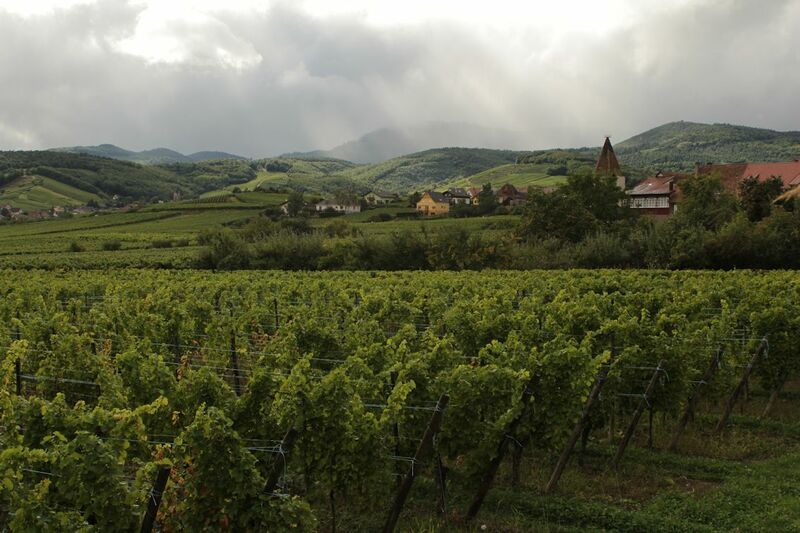 The card shows Aspach-le-Haut, in the southern part of Alsace and he is spending Easter temporarily resting in Rodern (now Roderen). Since yesterday evening we are again resting in the charming village of Rodern and as today is the feast of Easter we have complete rest, so I can’t let this day pass without sending a few words to you. This time I can tell you that on Friday night around ten o’clock we had an alert: it was to go and support our infantry attacking German outposts. The fight was hot: never had I seen such a storm of fire and shrapnel. Finally after one hour of fighting the enemy fled on foot and our infantry seized the front trenches. The infantry had unimaginable losses and we had none. Now we are spending 10 days here and then we will return to the trenches. It’s as though you always see the same comedy; also I ask myself, when will it all be over? I hope that the victory will be soon and we will have the good fortune to relive the best of the old days even better than we experienced them before. Now I have to suspend my chat with you, but I will resume soon because despite the great distance which separates our thoughts, I think of you always. I’m still in very good health and I hope you enjoy the same. With this card I send my best memories and my sweetest kisses. Categories: Alsace at War - 1914-1918, War in the Vosges - 1914-1918 | Tags: Alsace, Aspach-le-Haut, Great War, Rodern | Permalink. My wife and I are lucky to be the owners of the charming house being pointed at in this post card. We have spent the better part of the last six years slowly restoring this house in Aspach le Haut to it’s original beauty and learning of it’s extraordinary history. While removing a tree from the yard, we discovered many old rifle rounds that had been lost and buried. There are so many pieces of broken plates in the garden that we no longer try to remove them. We found shrapnel in it’s old mud and thatch walls. And according to one of the older gentlemen in the village, we finally managed to repair the part of the stone wall that fell when the American tanks ran through the village the during WWII. It had been haphazardly repaired with roof tiles and broken bricks. Thank you for your comment, which I found extremely interesting. Your discoveries bring to life the short message which Gaston was able to write on his card and provide evidence that he and his comrades really did use this property – your house – in their wartime life. Thank you for sharing it. I will be very happy to send you a large, high resolution image of this card if you would like a copy.